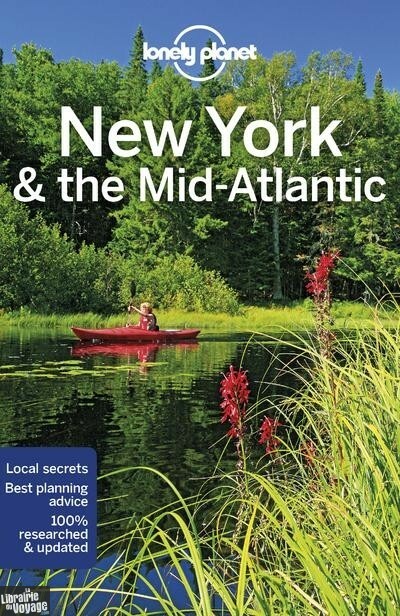 Lonely Planet's New York & the Mid Atlantic is your passport to the most relevant, up-to-date advice on what to see and skip, and what hidden discoveries await you. Watch the world go by in New York's Central Park, hop between grand sights and museums in Washington DC's National Mall, and explore postcard-perfect Pennsylvania Dutch Country - all with your trusted travel companion. 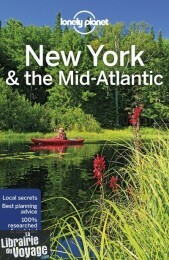 Get to the heart of New York & the Mid Atlantic and begin your journey now!Inside Lonely Planet's New York & the Mid Atlantic:Colour maps and images throughoutHighlights and itineraries help you tailor your trip to your personal needs and interestsInsider tips to save time and money and get around like a local, avoiding crowds and trouble spotsEssential info at your fingertips - hours of operation, phone numbers, websites, transit tips, pricesHonest reviews for all budgets - eating, sleeping, sightseeing, going out, shopping, hidden gems that most guidebooks missCultural insights provide a richer, more rewarding travel experience - history, people, music, landscapes, wildlife, cuisine, politicsCovers New York City, New York State, New Jersey, Philadelphia, Pennsylvania, Delaware, Maryland, Virginia, Washington, DC, West Virginia, and moreThe Perfect Choice: Lonely Planet's New York & the Mid Atlantic is our most comprehensive guide to New York & the Mid Atlantic, and is perfect for discovering both popular and offbeat experiences.